A. 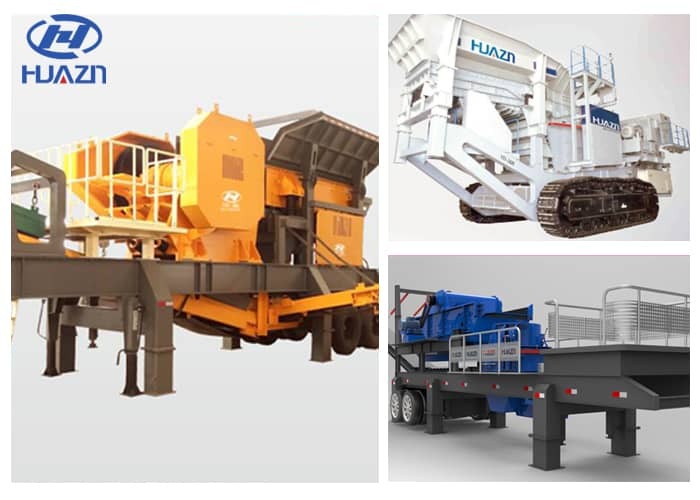 Customers in the mobile crushing station market are looking for enterprises to do business directly, but we are not prepared accordingly. It just produces, it doesn't serve. Therefore, to strengthen service awareness, we can cooperate with the importer or the purchasing agent to transform from being a product manufacturer to a product and service supplier in the eyes of the final retailer, so as to obtain higher profits beyond the wooden body value of the product. If the service cannot do bit, we may lose not only orders, more is eliminated. B. Crisis is also opportunity, and there are opportunities for risks. Improve bargaining power, quality assurance, delivery time, operation efficiency. At present, the general Chinese enterprises have not completely solved these basic problems. They are still weak in terms of quality and delivery date, and are in an unfavorable position in negotiations with foreign businessmen. There is a good saying that the balance is always tilted to the best enterprises. If we can do this basic work and become the core competitiveness of an enterprise, the discourse power will naturally be different. C. To strengthen product development, we can cooperate with relevant companies to develop new products and designs on the basis of stabilizing the staff with old products and compensating the normal operating costs of the company, so as to obtain high profits and facilitate further development on the basis of the survival of the company. D. Repositioning the target market. Currently most companies with large supermarket as the terminal consumers, these guests order quantity is big, low content of science and technology, competition is intense, capital turnover time is long, thin profits, actually convert a way of thinking, a change of the mass production mode, which in turn attention to fewer but better market, with high-grade, scarcity of the market as our target market, or calling to market niche is, the less expensive place to find our development space. Such a market is not sensitive to exchange rate and policy changes, and the competition is not fierce. E. The entry of emerging markets, or emerging economies. India, Brazil and Russia, which are all brick countries, have been neglected by domestic enterprises. In fact, the economic development in these places has reached a level that Chinese enterprises have to enter. Especially compared with Europe and the United States, these regions have low entry costs, low risks, low service requirements and low requirements for supporting the industrial chain. F. In terms of material procurement, we should shift from domestic procurement to foreign procurement. On the one hand, we should offset the pressure of RMB appreciation; on the other hand, we can obtain more high-quality raw materials with the export as the import. Previous Article：How to solve the fault of impact crusher?